As 2018 draws to a close, the gaming world starts to look back on another fantastic year for games and throw some awards out in the form of The Game Awards. But whilst the awards are for the games of the year just gone, The Game Awards has also unleashed masses of new info for upcoming games, and even enough new world premieres for brand-new games to shake a very large stick at. Here are 5 of the best new announcements that came out of The Game Awards 2018. The Stanley Parable is crudely described as a walking simulator but this announcement marks its’ first time being released on console, having been on PC since 2013. The game features Stanley who works in a very generic office building doing the same mundane tasks day after day on his computer screen. One day, that screen turns blank and Stanley goes off on an adventure within the building, and this is where the game takes on a life of its own. Stanley’s every turn and decision are narrated almost as if it has been pre-determined. The narrator regularly breaks the fourth wall when narrating which should give you a taste of the sense of humour present in the game. Because of the branching paths in the office, multiple endings are present. One of which required not playing the game for literally five years and has only just been obtainable on PC for those that played it at launch without the use of time manipulation. 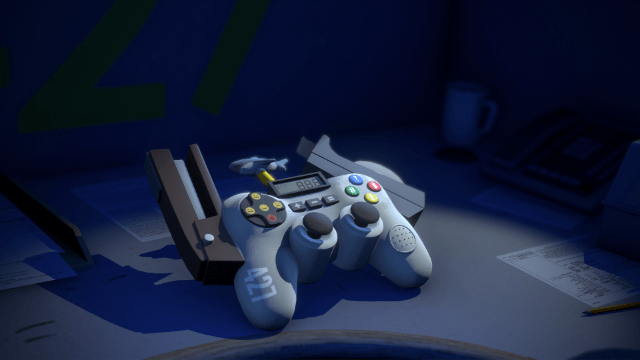 The Ultra Deluxe version launching on Xbox One next year will feature various tweaks to the overall story, but also many more endings to discover. No word on an exact date yet but The Stanley Parable is finally due on consoles in 2019. The trailer is below for your perusal. A new Far Cry was teased a day or two before, and in the teaser, we saw a nuclear explosion and a mushroom cloud rising up in the background. So, we knew kind of what to expect with the trailer, but some new details were very welcome. New Dawn is a direct sequel to Far Cry 5 and is set 17 years after one of the endings of that game in which – spoiler alert – a nuclear bomb is triggered, changing the landscape of Hope County forever. New Dawn sees life returning to the world but now the survivors of the bomb face a new threat – The Highwaymen lead by twins Mickey and Lou. Survivors will need to build a Homebase where they can craft all the usual wares and train their Guns for Hire. Here, players can also set off on Expeditions, a new feature for the series. These Expeditions will take place in unique locations across the US where they must find and secure a valuable package, whilst also getting out of there in the quickest time. 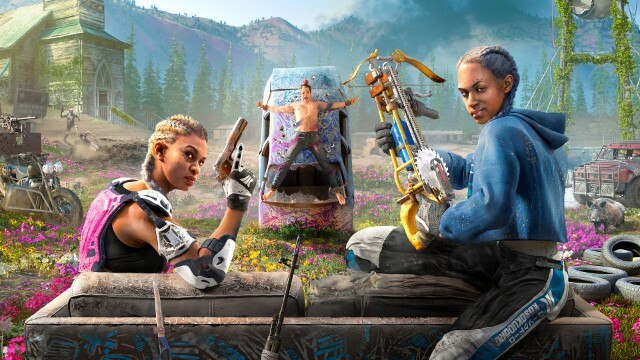 This is the first time Far Cry has dabbled with a post-apocalyptic setting but being in the Far Cry universe it sounds like it will be one of the more fun post-apocalyptic settings. We don’t have long to wait either as Far Cry New Dawn releases on 15th February 2019. Check out the trailer below! Ed Boon from NetherRealm Studios appeared on-stage to give out a trophy at The Game Awards, but his appearance was hijacked before everything went black. Lightning flashed on the screen, before flashing into the Mortal Kombat logo. It was finally happening. The trailer we then witnessed saw a brutal fight between Raiden and Scorpion. Mortal Kombat is well known for its violence and gore, yet every time a new one is announced the team still manage to surprise us with how gory they can go. Again, this trailer was no exception. As is the norm with trailers, there was also a glimpse at the end of a new character stood in front of a time manipulation device, leading us to believe MK11 will once again continue their trend for telling deep story alongside gore-filled gameplay. Mortal Kombat 11 will also feature an all new Custom Character Variation System, allowing players to control how their favourite MK characters will look and feel. Further details are expected at Mortal Kombat 11: The Reveal, happening in Los Angeles and London on 17th January 2019, but a full release is due on 23rd April 2019. All pre-orders will receive playable access to Shao Kahn on launch. We knew Obsidian were bringing something to The Game Awards but other than that, details were scarce. What we got was The Outer Worlds. There’s an easy way to describe this game: Fallout in space. Obsidian after all did Fallout: New Vegas, and their founders originally worked on the first two Fallout games. They aren’t afraid to make many references to that fact either in the trailer. Unfortunately, other than the trailer, that is all we know about The Outer Worlds. The trailer is good enough to get tongues wagging though, and the game is due to release sometime in 2019. There were rumours, there was speculation, even a little bit of expectation after the success of the N-Sane Trilogy and Spyro Reignited Trilogy. But until fans saw it, they couldn’t be sure. Cue a collective sigh of relief when a man turned up to The Game Awards wearing a Crash Bandicoot suit. Crash Team Racing was now getting the remastered treatment. The best thing about this remaster though is that it isn’t just a simple remaster, the team at Beenox are also adding in online multiplayer for the first time in Crash Team Racing Nitro-Fueled. Now is your chance to finally prove how good you are. 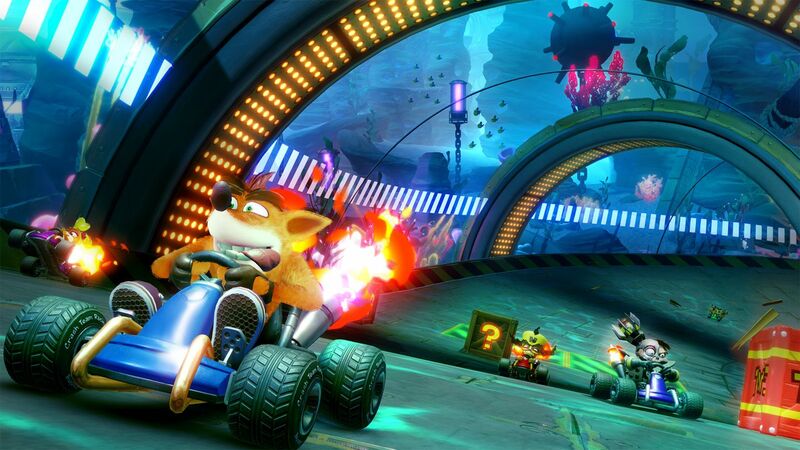 Featuring classic Crash Bandicoot characters and bosses racing through tracks based on levels from the first three games, let’s hope the controls and drift feel as good as it looks. Just look how pretty it is. CTR will be releasing on 21st June 2019 to celebrate 20 years since the initial karting release. Pre-orders are available now: pre-order the Nitros Oxide Edition of the game and get instant access to Nitros Oxide as a playable character across all game modes, the self-proclaimed fastest racer in the galaxy. And that’s our 5 of the Best New Announcements from The Game Awards 2018. It’s impossible to condense a three-hour show – three and a half if you include the pre-show – into just one list so there are some glaring omissions but we will have details of everything else on our website and on Twitter, so stay tuned! And let us know what you are excited for from the list and the entire awards ceremony.